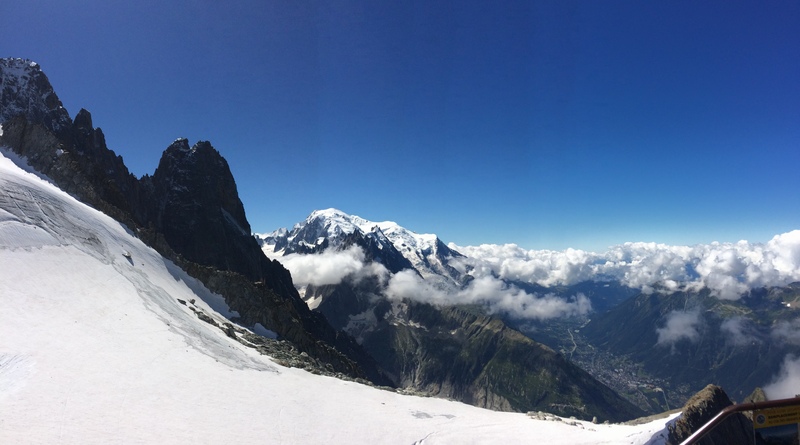 Been home for a couple of days, since Chamonix. Yesterday I raced in the Tough Viking race. 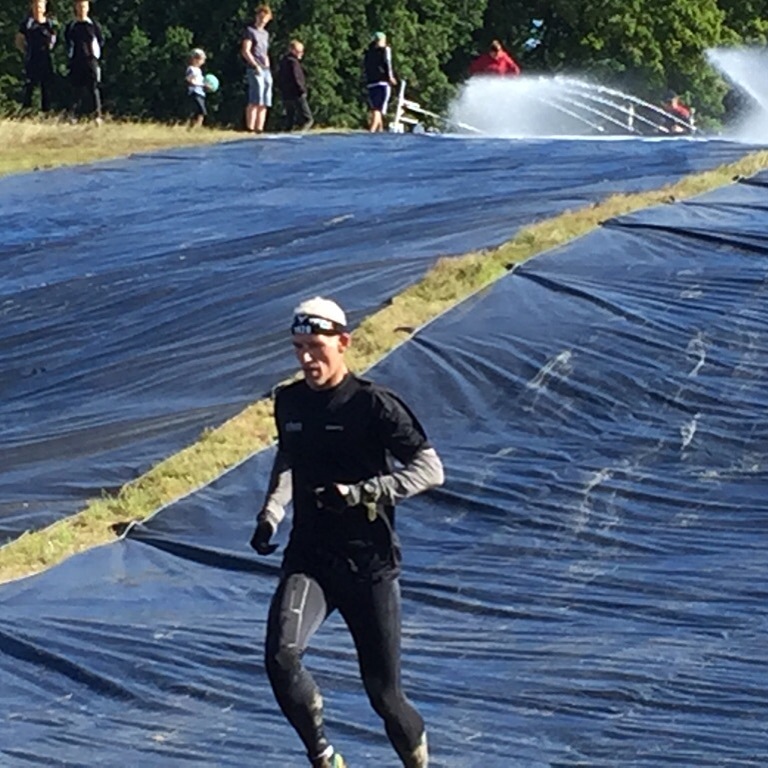 The largest obstacle race in the Nordics. 15km with over 35 different obstacles. Cant say that I was good prepared due to my training. 15km with over 35 different obstacles, and place 108 its ok.
Chamonix this time has been real good. With two different missions, and set-up it went real good. 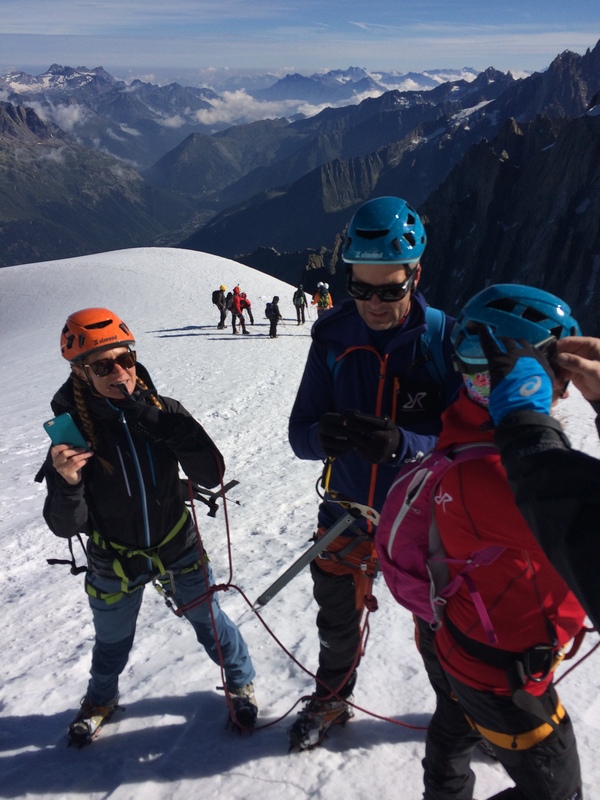 The team roped up for the arête at Aguille du Midi..
As a guide you always have to rethink your role and skills/knowledge. I think it is important that you all the time get a bit deeper to knowing yourself. You must be in a good physical shape to handle upcoming situations. You must be so skilled so you can have a mental preparedness for new situations. 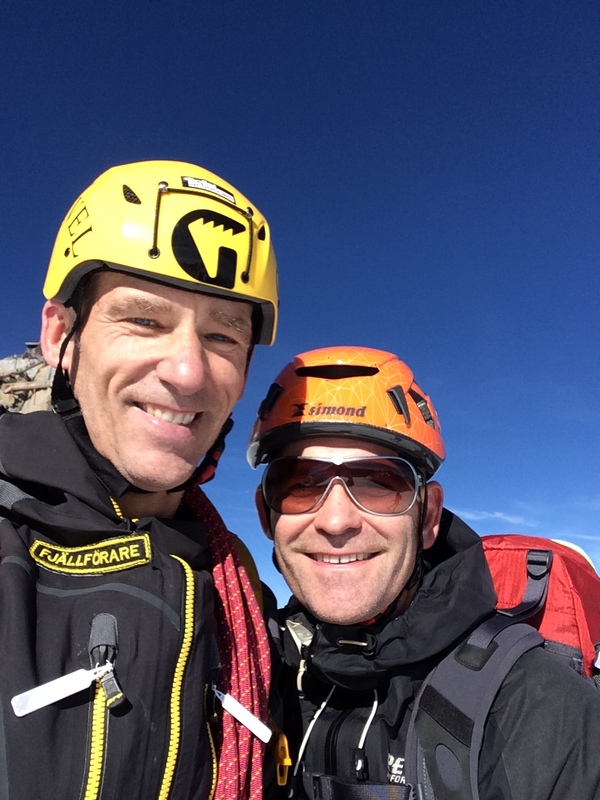 So as a guide I challenge my self all the time, and being in the mountain environment makes you humble and rethinking your skills, knowledge and both mental and psychical strength. Safety and credible with a big portion of trust, that is characteristics a guide should have. The second guide mission completed with happy clients and a happy guide. This weeks presentation of mountain cabin will be the Anaris Cabin. This is one of the smallest cabin in the Swedish mountains. With just 10 beds, it is seldom visit. You have to do at least 20km to get there which deters some. But it is still worth a visit, the are is very nice and you will really like it. 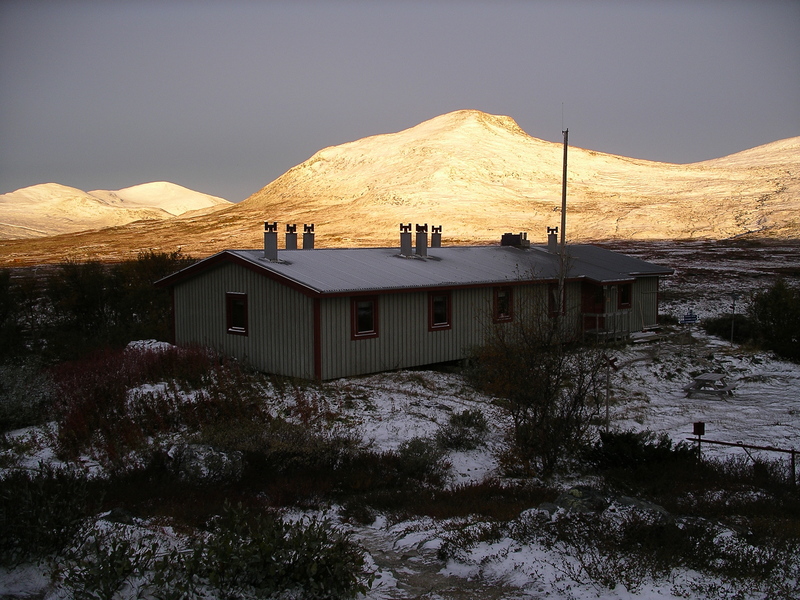 Anaris cabin can be reach from Vallbo, Valadalen mountain station, Lunndorren cabin or Hoglekardalen. 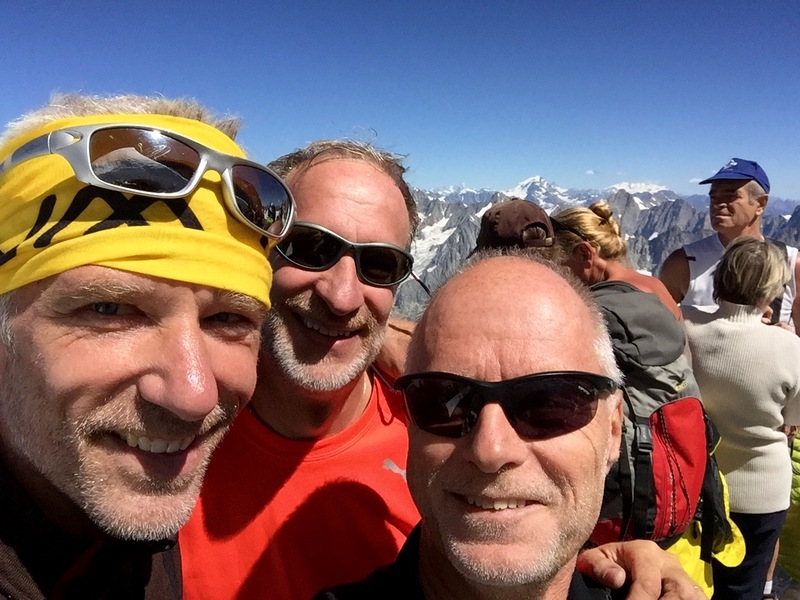 Two older men was lost in the northern mountain environment close Riksgransen. In the news we could read that they were using a green tent. I think it is very important to think about the colour of your equipment. Use colours that is visible, if you being in trouble, that will help the rescue crew..
Gear with high visibility can help you when the accident is there..
Been in Chamonix since Thursday. Weather has been quite ok, and the tours fine. 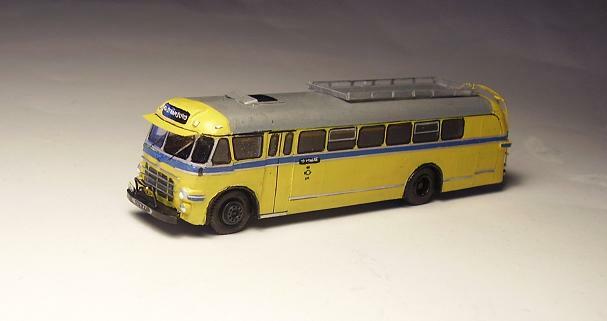 Started up with a easy one to Plan Praz. 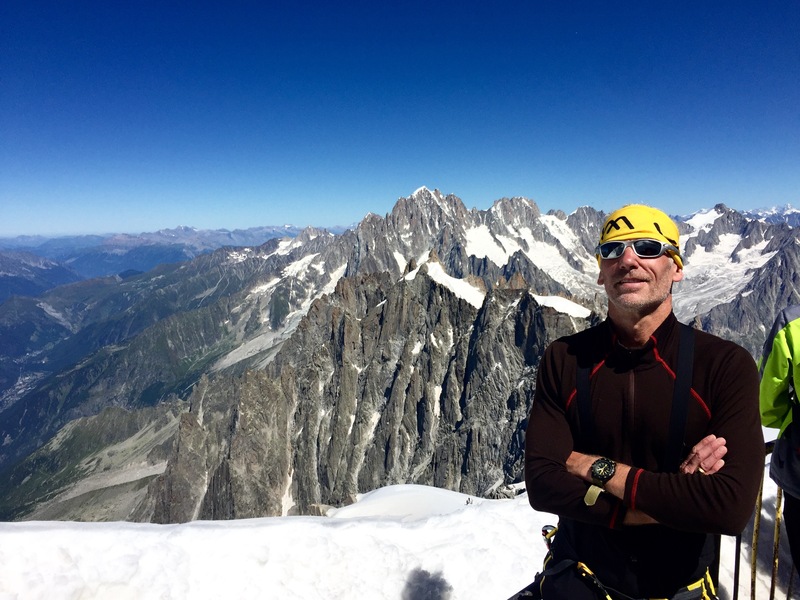 And on Friday a tour to Aiguille du Midi and Pointe Hellbronner. 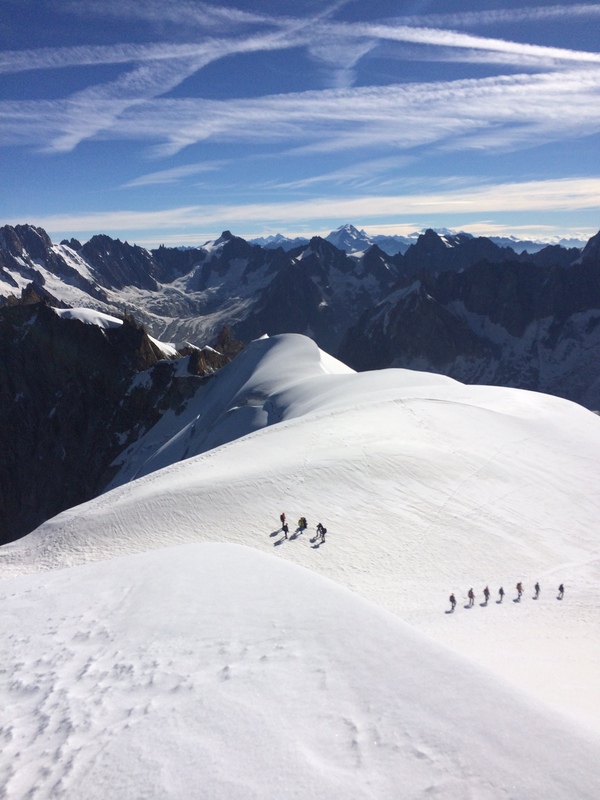 A happy guise and client moving down on the glacier ridge at Aguille du midi. Good training and a presentation of a nother mountain cabin. Today I will present the Vålå cabins (Vålåstugorna). Vala cabins in the centre of Jamtland mountains. 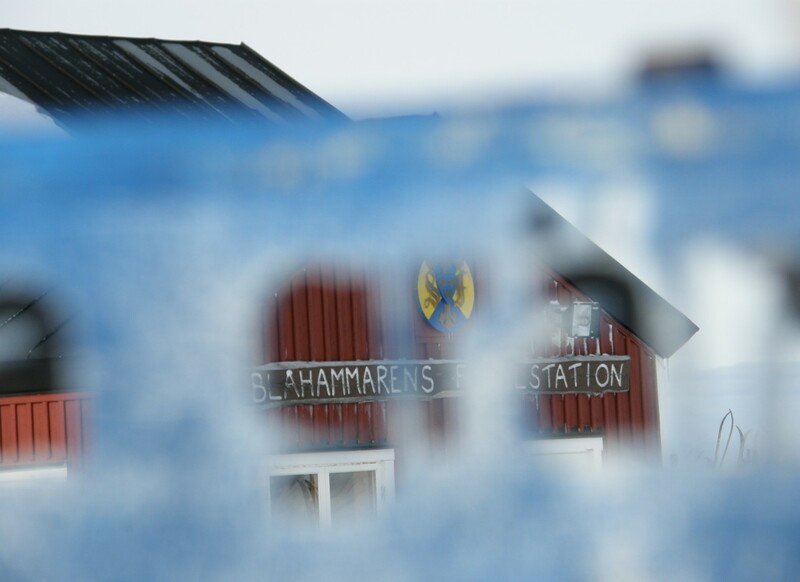 The cabin was build in 1930, and combined the rails from Stensdalen and Lunndörren to Vålådalen mountains station. During the 1800 there was copper mining in the area, there are still some tracks left. 3km vest of the cabin there are still three holes from the time, and a rest of a mining cabin in stone. From the cabin you got a amazing view. From the cabin you can reach the Gåsen cabin and Lunndörren or Stensdalen. 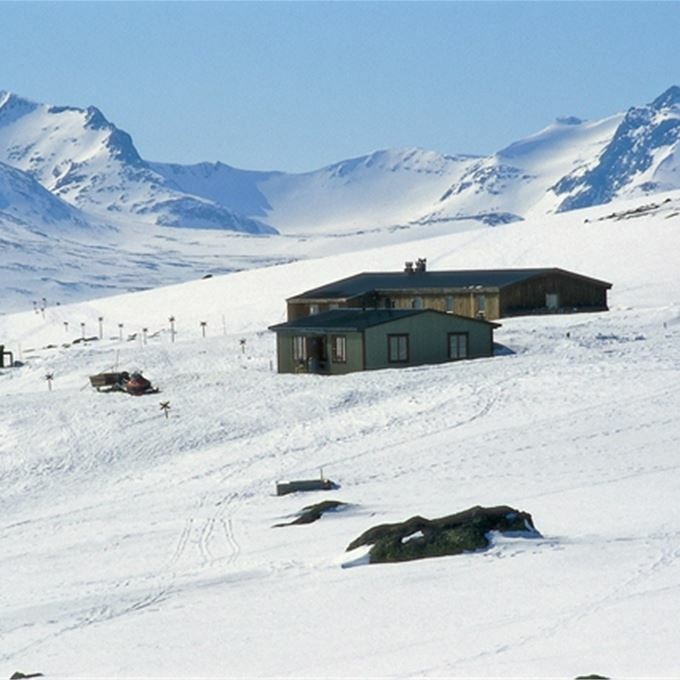 You can also reach Vålådalens mountain station directly. 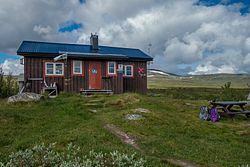 Another very interesting trail is the one from Vålå cabins to Helags mountain station. This one of the longest trails in the area. Seldom used, so you probably will be alone on the trail. 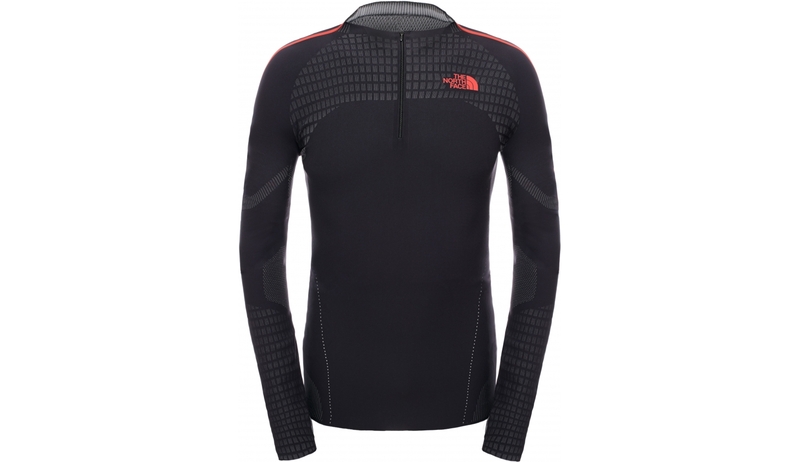 This week I will test a new underwear from The North Face. It is not wool which is the first choice today. I will test it and so what it goes for. TNF Kanagata underwear with Bicolor cationic yarn for the inside and nylon on the outside. The training has been great this week. 670 minutes and 9 workouts. Today a combined workout at the gym, and 5 x 500m interval training. A new articel serie, training and the mind. Today here will be a new article series about mountain stations and mountains cabins in the Jamtland area. First out will be the Gåsen cabin. The Gåsen cabin in Jamtland. The first cabin was build in 1926, The Gåsen cabin is a hub in the area. You can reach; Storulvån, Sylarna, Helags, the Vålå cabins and the Stensdals cabins. The view from the Gåsen cabins is spectacle. You have the Sylarna massif in the west, and the Helags massif in the south west direction. You can also summit the top of Gåsen while you are staying here. There are also a lot of small lakes in the near. 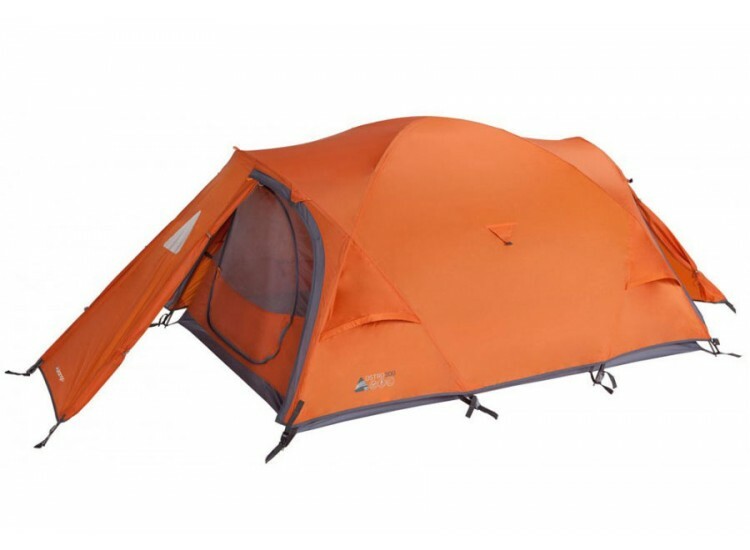 With 50 beds there will always be space for the hikers. And so to the training, there has been a lot of endurance training. Swim run with 1900m swimming and 8km running, a speed march of 7km with 22kg back pack within 45. 50min(target was 50min, so approved:-)). This is good for the preparation for the upcoming guiding in the alps. While I was doing the 7km speed march, I was thinking about how to mentally motivate myself. It was a tough target, and I have told some people I was going ti do it. that was one of the triggers. And also to see how much I could force myself to the limit. The mind game during the endurance will be so important. 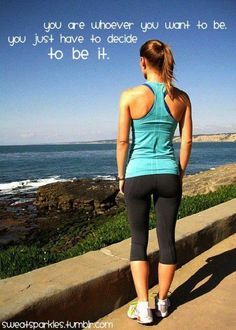 Train you mind to focus on the right thing..
And over to some new clothing. 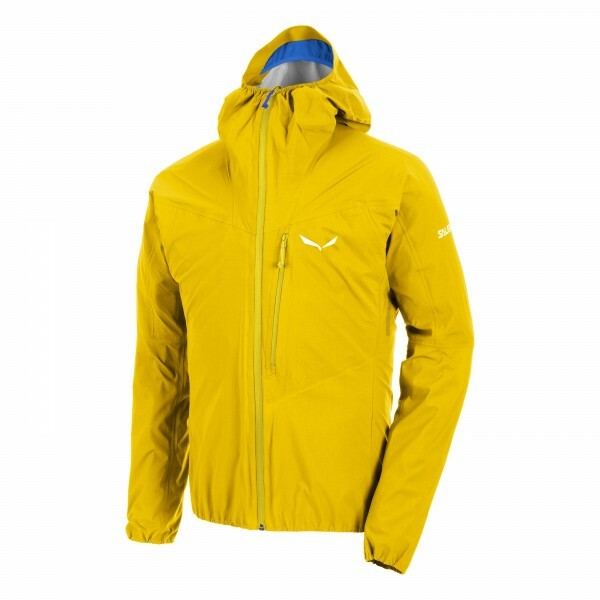 The Salewas Agner shell jacket is a real good jacket for the hard adventure. 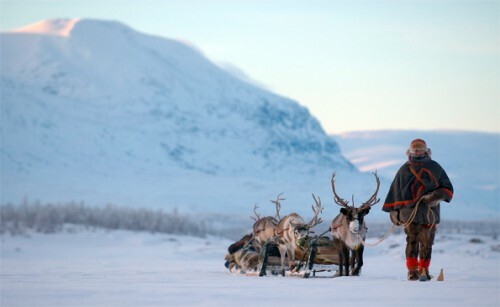 Snuölke butji sisne, The tourism in Jamtland..
Its a hard work to be a reindeer shepherd. The samis work together, but it is a tough work due to you have to alert to protect the herd from wild dogs and wolfs. Even eagles and lynx’s is a threat. And the wolves has a supernal affect for the samis. They wait for the shepherd to become tired, then he will attack the reindeer herd. So you better not sleep. A tough work to be a reindeer shepherd.. When the shepherd has been relieved, he fall into a heavy sleep. Nothing can wake him, well you would need a big pot of coffee and at least 5 minutes to get him awake. But if you whisper: ”Snuölke butji sisne” in his ear. He will wake up within a second. It means; the wolf is in the reindeer herd. 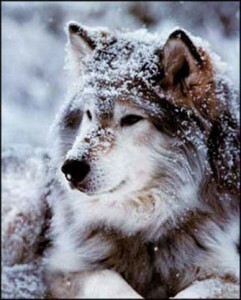 The wolf, one of the treats for the Samis. When it comes to training, it has been more endurance during the summer. That is good for have some rest from the gym training. Now I am prepared for the new gym season. There has also been a research about the training environment. And if you going out in the nature the negative thoughts will be remarkable reduced comparing to be in the city environment. This weeks exercises will be the plank, but do it with wide arms. You even train the chest doing it that way..
A new and even tougher way of the plank..
And some new music at the end..